The new SHD Phono interconnect works to control the broadest cross-section of the musical bandwidth, including the lowest of the bass regions, right from the source. This new design articulates down to 10 hz! For example, Electric bass low E is 44 hz, Double bass is 33 hz. Further, it’s bass energy that creates the foundation of the soundstage, forming the X Y and Z dimensions of the sonic envelope. Once this envelope is correctly formed, including front to back, the higher frequencies work to paint or suspend seemingly solid images within this space. With the SHD Phono interface, increased saturation of the image allows accurate reproduction of natural timbre down to 10 hz, making even the lowest octaves directional. 110 Poles of Articulation work to reproduce delicate (out of phase) reflections from venue ceilings, walls and stage floors. As a result, room boundaries are redefined to capture the unique sounds of the artists and the “voice” of the room. The Oracle MA-X SHD Phono works to “put you right there in that place” as it delivers the most natural, most enthralling analog listening experience ever thought possible. The Oracle MA-X SHD was built upon its predecessor the Award Winning Oracle MA-X Phono Interconnect, bringing with it, the key characteristics – the timbre is full, natural and rich, and the textures remain thick and dense, ensuring that voices and instruments will not lose their natural tones. All voices and instruments are “painted” on a noise-free background and portrayed within a large three-dimensional soundstage, remaining rock solid over a greater dynamic range. 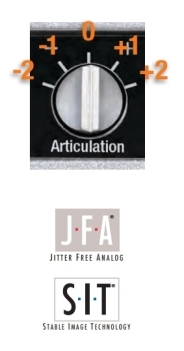 The articulation selector allows the listener to “fine tune” this interface for optimal balance between transients, detail, imaging and musicality. After years on the table as a concept, FMC is a new technology applied as an additional and adjustable feature. Besides A.A.R.M., this second adjustment works to assist in the reproduction of correct, realistic and believable formation of “spectral energy” (also known as “acoustic energy”) around sonic images as they form in space. By adjusting this knob, you can properly position this spectral energy to reproduce unique formants that artists use to create their particular “sound or voice”. Shown with DIN to RCA Connectors. SIT and JFA Technology – SIT (Stable Image Technology) and JFA (Jitter Free Analog) Stable Image Technology ensures that the soundstage will retain its proper dimensional proportions, regardless of power demands, while Jitter Free Analog ensures that all images emitted from within the soundstage are heard from a black background with precise location and clarity, regardless of your choice of volume setting. 110 Poles of Articulation – Proven Oracle-derived Multipole Technology reveals the textures, timbres and harmonics at reference levels of performance. Selectable Impedance – allows the user to match the cables impedance to your hardware. This allows the user to optimize sonic performance, improving tonality, micro dynamics, image size and specificity. For the Vinyl Audiophiles seeking the best representation of the recorded event, MIT has you covered. At every level of Phono Interfacing offered, we bring to you what no other company has – Multipole Technology. Read the reviews, the patented technologies and whitepapers, see the awards and repeated “Best Sound”, “Best of Show” accolades from Industry respected Audiophiles and professionals alike. You too can reap the same rewards from your vinyl collections and chosen playback systems. are specifically designed for the unique problems that cartridges and phono preamps present. Cartridges generate extremely low output levels, with “high” output cartridges putting 1/1000th the signal level of a typical CD player or other line level source. 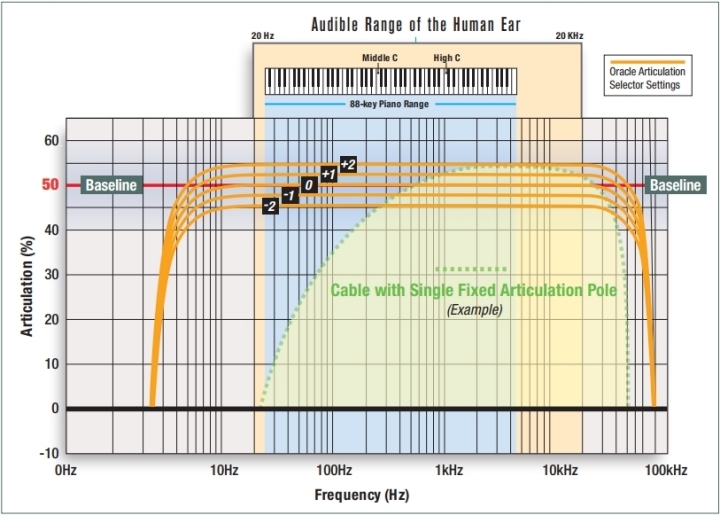 Noise picked up by the cable can easily distort that signal. Additionally, the terminating impedances of most phono preamps are very different from typical line level inputs. This will alter the articulation of the cable if not designed with that in mind. To solve both problems, MIT uses a unique Quanti-Shield design for noise-free playback, and unique networks with selectable impedance settings (100 Ohm, 1 KOhms and 47 KOhms) in order to get the most from your records. The Oracle MA-X SHD articulation selector allows the listener to “fine tune” this interface for optimal balance between transients, detail, imaging and musicality. 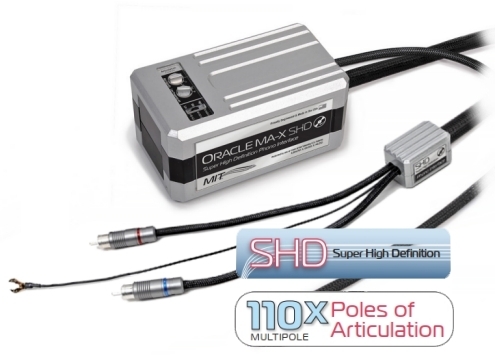 All with the simple rotation of the MIT patent-pending Articulation Selector integrated into every Oracle MA-X and MA-X SHD interconnect. The illustration below is an artist’s rendering of the Oracle MA-X articulation response for each setting of the Articulation Selector switch. The base line is the 50% line. The plus values raise the articulation above the 50% line, which will enhance system transients, detail, imaging and musicality. The negative values below the 50% line will tend to have the opposite effects on a system. It is purely subjective when deciding where the selector switch should be set—experiment a bit and set the selector switch where you feel your system performance is best, and enjoy the music! 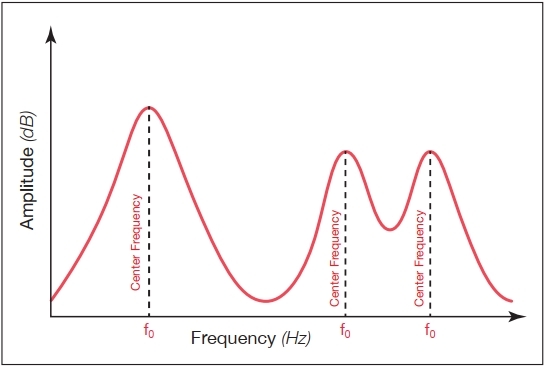 Formants are frequency peaks in the audio spectrum which have a high degree of energy. A room can be said to have formants characteristic of that particular room due to the way sound reflects from its walls and objects. Room formants of this nature reinforce themselves by emphasizing specific frequencies and absorbing others. 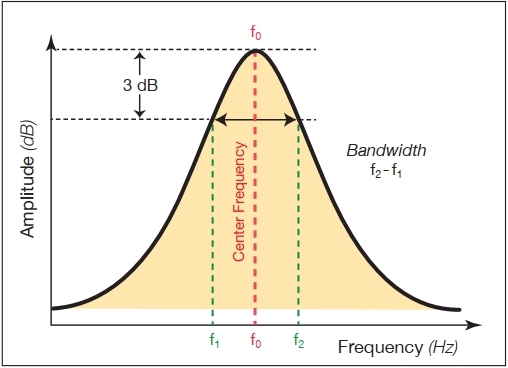 In the broader field of acoustics, formant retains only its original meaning: a broad peak in the spectral envelope of the sound (of a voice, musical instrument, room, etc.). When referring to the formant at about 400 Hz in the sound of a French horn, it is obviously a peak in the spectral envelope that is meant–not one of the resonances.